In the United Kingdom, the Isle of Man and Guernsey, all gas engineers must be registered with the Gas Safe Register in order to work legally. All employees of Drayton Boiler Services are Gas Safe Registered engineers and serve across Bracknell, Basingstoke, Yateley and the surrounding areas of Berkshire and Hampshire. We are accredited installers of Worcester, Vaillant, Ideal and Baxi boilers and are able to offer an exclusive 7 year guarantee on Worcester boilers, and 5 year warranty on Vaillant, Ideal and Baxi boilers that we install, subject to annual servicing. Our Gas Safe registered engineers are professionally trained and licensed to work on most types of gas boilers, water storage systems, water heaters, central heating systems, radiators, controls and appliances. Our engineers can recommend power flushing to solve circulation and other problems caused by slush, corrosion and dirt in central heating systems. We also do gas safety inspections and issue gas safety certificates to landlords. 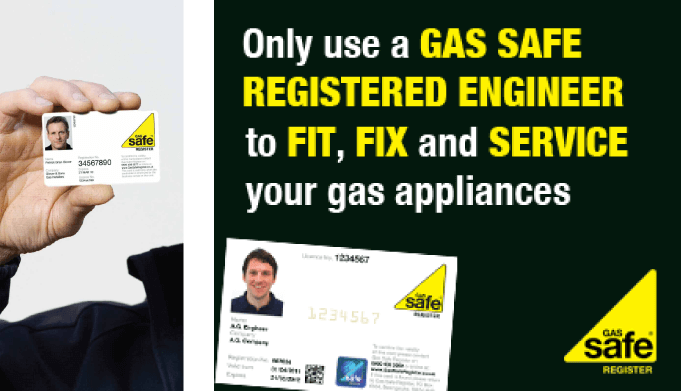 Our engineers carry their Gas Safe Registered Identity Card; so feel free to ask them to show it to you!